ONLY 29,287 Miles! Back-Up Camera, 4x4, Satellite Radio, Bluetooth, iPod/MP3 Input, TRANSMISSION: 9-SPEED 948TE AUTOMATIC... PASSIVE ENTRY KEYLESS-GO PACKAGE, ENGINE: 2.4L I4 MULTIAIR, Aluminum Wheels, REMOTE START SYSTEM SEE MORE! 4x4, Back-Up Camera, Satellite Radio, iPod/MP3 Input, Bluetooth, Aluminum Wheels Rear Spoiler, MP3 Player, Privacy Glass, Child Safety Locks, Steering Wheel Controls. REMOTE START SYSTEM, PASSIVE ENTRY KEYLESS-GO PACKAGE Passive Entry/KEYLESS-GO, TRANSMISSION: 9-SPEED 948TE AUTOMATIC (STD), ENGINE: 2.4L I4 MULTIAIR (STD). Great Gas Mileage: 29 MPG Hwy. 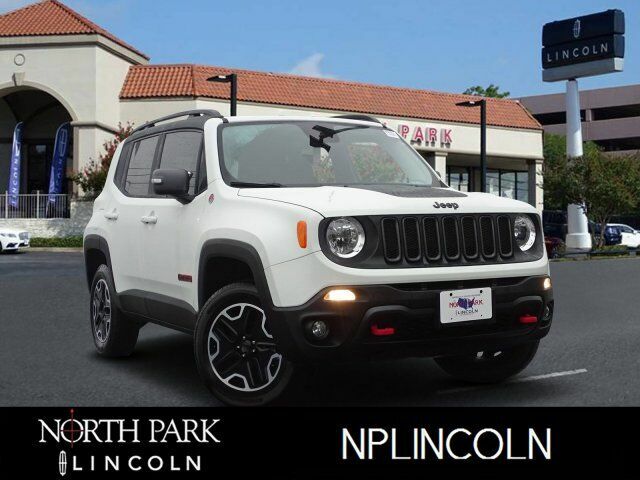 The 2016 Jeep Renegade is a fine subcompact crossover SUV that has an abundance of character, is easy to drive and can surpass the competition when the road gets rocky. -Edmunds.com.